You remember the days when you were applying to college. Life was much simpler. You applied to maybe two to five schools and it was predictable where you would get in. Many of your college and university options were pretty close to home. High schools sent specific lists of their graduating senior class to prestigious colleges, telling them who they wanted to be admitted. When it comes to your child’s future, you want the best — the best toys, the best schools, the best teachers, the winning teams and the best college education. You want them to have the best grades, best standardized test scores, the most volunteer hours and hopefully have a life that will be filled with fond memories of high school. College admission and college costs, however, loom. Education today is not the experience we remember. College admission is much more unpredictable. So, you wonder how much to push your college bound student to do their best, what to demand or suggest that will help them get into a good college. And, determining what are the best courses to take, grades to get, test scores that are good enough, community service, extracurricular and sports activities that are enjoyable and look good to colleges are all weighed in the process. And there is more. It can sometimes become a big blur. 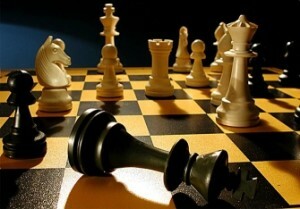 The college admission process today can be like a game of chess. Sometimes, unfortunately, every move can be seen as calculated. Where to begin is often daunting with so much to consider. So you don’t make a mistake. That all your decisions, all your moves make the most sense. And knowing wrong moves can result in college admission and scholarship denials. Such unpredictability is unsettling. It is hard to see your child with stress levels which sometimes are higher than yours. But you try not to show it. 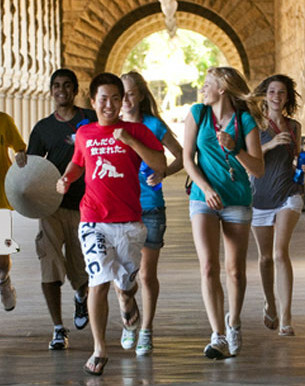 Our comprehensive programs are designed to assist you and your child in all aspects of the college planning process. Our work together can help you understand the important options to consider and at what age. The process culminates in admission to many colleges of their – and your – dreams. Assessment of your child’s academic potential and current successes can help guide you and your child to learning and social activities in school and the community. Specific suggestions are made about opportunities that help your child’s academic and social development. Our on-going conversations with you, the parents, provide guidance on the unique stages of your child as they grow up. We are available to consult with you on age-appropriate parenting strategies. With each generation there is a new teenage language, teenage dress, and culture. Our role with you is to help you with translation in order to best know how to communicate with your child through the college planning process. Parents often consult us regarding the growing pains they observe and sometimes endure with their teenager. College counseling is part of every aspect of what we do. No matter when you begin the program. We work with you closely to plan out calendars of what to do and when. This planning process keeps you and your child on track in order to have a strong resume to share with the colleges. The way to get into college today is to stand out, to do something with passion that other students do not share, that are unique. We coach you and your student on activities, community service, volunteer experiences, summer programs, etc they would enjoy AND that would be looked on favorably by colleges. At the same time, we let you know what activities would be a waste of time. The goal is that your student has the credentials to submit predictably successful applications. CollegeAdvance becomes your sounding board, your myth buster. Research over the years consistently shows that information parents get regarding college planning come from other parents. What their children are doing regarding college may, in fact, not benefit your child. Many times this advice is not correct and, in fact, can be misleading. We help you to distinguish between the perception and the reality of college admission requirements and realities. We speak with parents daily, helping them to make the best choices from the correct information for their college bound child. Parent interaction with teachers, counselors and principals is important. We coach you on ways to work with your child’s school in order to facilitate the best educational experiences. Whether its student/teacher rapport or simply touching base with staff and faculty, we help you along the way. Our years of experience working in middle schools, high schools and colleges enable us to help you know how school systems work in order to help your child get the best education. The college prep phenomenon is a multi-billion dollar business today. Our goal is to ensure that you only contract with the needed services for your child. We make suggestions on test prep academies, tutors and summer programs that are education enrichment with a purpose. Parents often ask when the best time is to start college planning. Actually, you have already started the process. 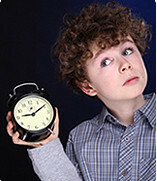 Most parents begin preliminary conversations as early as 5th grade and middle school to the early years of high school. The next question, however, is when teenagers actually begin to believe the merits of these discussions. It is predictable that rolling eyes of the early teenager do eventually turn to eyes of acknowledgement – that it’s time to get serious about college. At CollegeAdvance, we become coach to your children, discussing the merits of when and how to be invested and involved in the planning of their education and their future. College Advance admission counseling helps parents know what they need to know before they find out too late.